Hello readers, hope you are all fine? Well today is Another Friday and i am sure you know what we talk about on fridays on this blog ?? Well if you dont its RELATIONSHIP friday where we discuss issues that matters to us in our relationship part of our lives. Every weekend especially saturdays worldwide, lots of couples become one, they get married and we all celebrate. But i can say that many of these couples do not know the difference between wedding and marriage. So today thats what we talking about. So that you know what you are getting ready for .. I am sure we all know that Peter Okoye of Psquare and Lola Omotayo , his baby mama are set to tie the knot this month . Hmm . The Invitation card comes with an Access card . Thats interesting and one of a kind . So the message being passed across is that if you re not invited don’t even bother to go there o!!!!. Someone siad its a it’s a strictly by invitation party and a lot of dignitaries will be gracing the occasion. Dignitaries like billionaire business mogul, Chief Mike Adenuga who will chair the occasion while top comedians Gbenga Adeyinka and Helen Paul will anchor the occasion. Words on the streets suggest the traditional wedding ceremony will take place at Arc Events Centre, Oniru, Lagos. We are told invitations are currently being sent out and they will have a white wedding in the first quarter of 2014. Finally , after a long wait the plans been revealed. Since , kim has finally been legally untangled from her previous marriage with Kris Humphrey of NBA’s Brooklyn Nets, the long awaited celebrity wedding between Kim Kardashian and Kanye West has started taking shape. Kim Kardashian and Kanye West wedding details revealed. Kim and Kanye will get married shortly after the birth of their child. They are going to get married in the Los Angeles area. Kardashian wants the wedding to take place in Big Sur, Calif., and that West has signed off on this as well as whomever she chooses to be their wedding planner. West has made it unequivocally clear that he does not want any media or paparazzi in the vicinity of their wedding. Instead, West suggests that Kardashian give a donation to one of her charities, either Skin Cancer Foundation or the Mattel Children’s Hospital. “I think there is this spiritual connection. We thought of a perfect place for the white wedding and the idea of Dubai came up. I don’t know about crowd control. We just want to have the best of the moment and make sure things go rightly. There is nothing more to it. It does not have to do with controlling the people or anything. The fact is that you can’t run away from the people. Anywhere you go, you will meet people and these people have come to celebrate with us. Let’s just say that we love Dubai and we also discovered that it was a perfect venue for us. 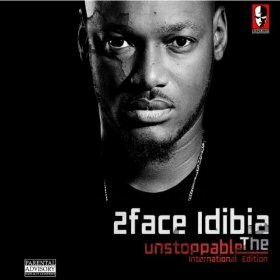 ” Tuface Idibia told Glitz in a recent interview. So to the angry fans he has given his reasons o! . Actually from my perspective , i don’t think his choice of venue and location was a bad idea but he has stepped on toes which makes it understanding and a good reason to be away from Nigeria not to spark up some heat cos according to sources, his baby mama’s were absent. I think 2face knows how to give respect to whom respect is due. What do u think?